Another fall foliage season is wrapping up in the Charlottesville area. That&apos;s not to say that you still won&apos;t find some assorted pockets of color scattered throughout the city and the county, but the main event is slowly, but surely wrapping up for another year. Conditions reached peak in Shenandoah National Park and the surrounding Blue Ridge Mountains a week to ten days ago, so color in those regions is pretty scarce. The leaves are shedding quickly and many trees are already prepared for the upcoming winter season slumber, which is fast approaching! In the city of Charlottesville & Albemarle County, it&apos;s a slightly different story, as there is still some color to be found. 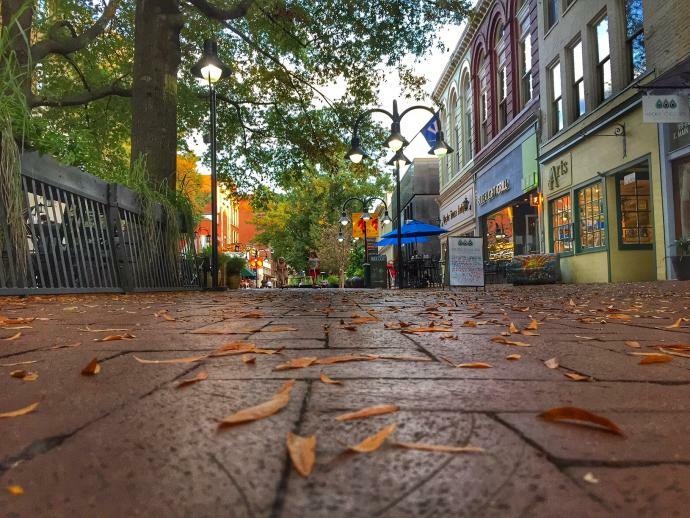 The leaves are shedding quickly here as well, but you might still be able to find a few pops of color from the historic pedestrian Downtown Mall, over to Grounds at the University of Virginia. But again, even in the city, the show is wrapping up. This fall season was a little different than usual. Colors were absent for much of October and then at the end of the month and into early November, everything started to burst with color in Charlottesville, Albemarle County, and Shenandoah National Park. While the mountains typically reach their peak a week or so before the city of Charlottesville, this year, things more or less happened at the same time, which is a bit out of the ordinary. Regardless, the end result was the same - lots of beautiful views for folks to enjoy and photograph! So until next season, we hope you all enjoyed this annual display of color here in the Charlottesville area! To see more of this year&apos;s fall color, check out our social media channels on Facebook, Twitter, and Instagram! So that&apos;ll do it for this year&apos;s final fall foliage update. We will see you back here for another season in 2017! Stay tuned for future posts about awesome winter ideas in the Charlottesville & Albemarle County area!